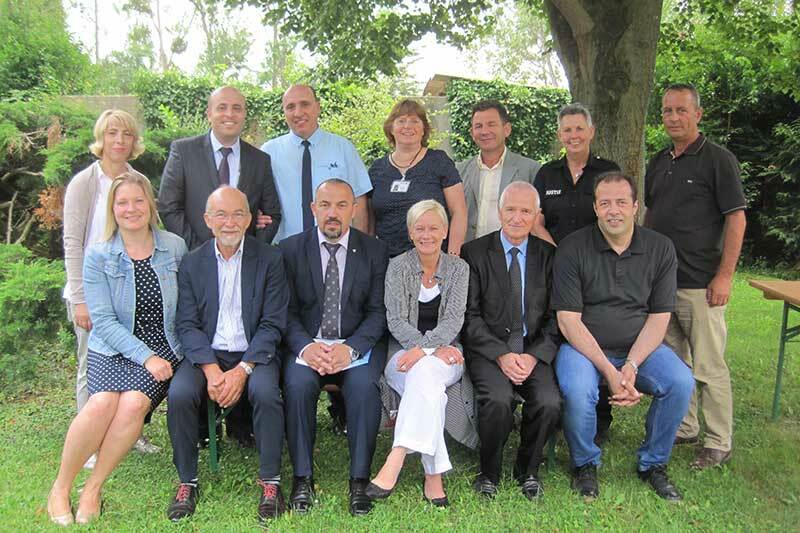 From 3 to 6 July 2017, a delegation of eight Kosovans attended expert talks on “Young offenders’ institutions” in Göttingen, Germany. 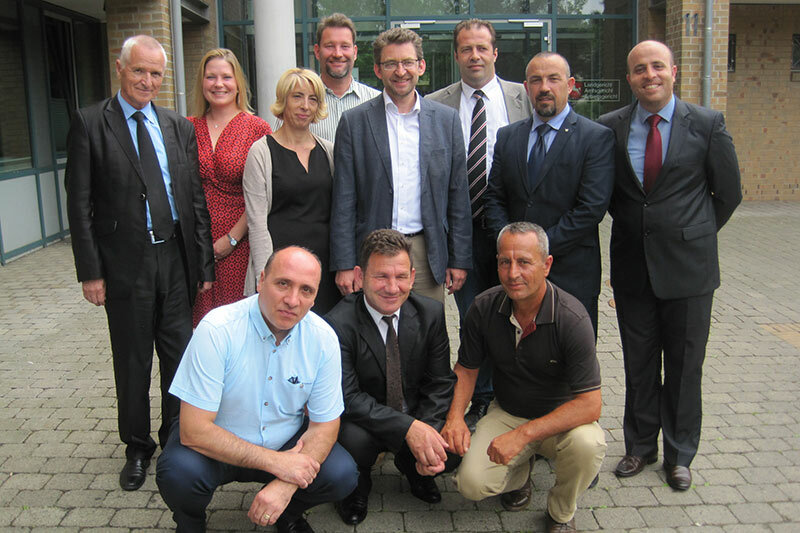 The prison director and three members of staff from the young offenders’ institution in Lipjan, a member of the prison system department at the Ministry of Justice and Child Protection Officers Afrim Ibrahimi and Ardian Klaiqi from UNICEF Kosovo accepted the invitation from the IRZ to visit Germany. 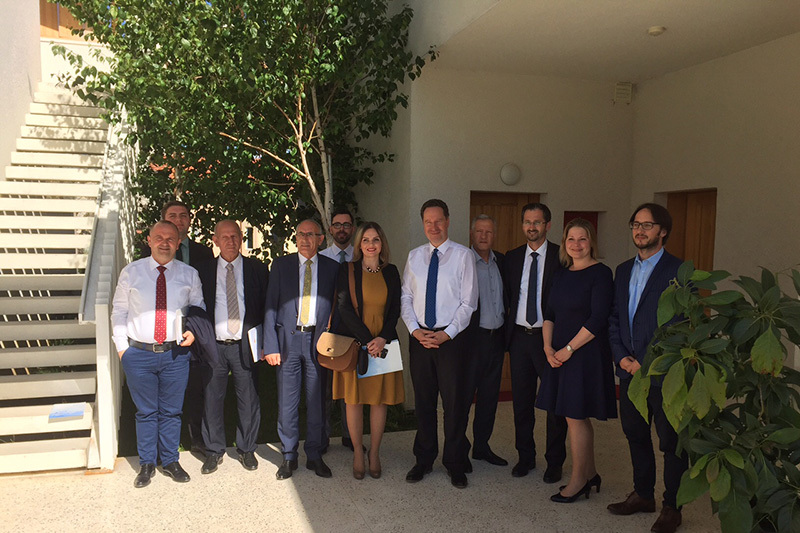 The main focus of this year’s visit was on an exchange of ideas between practitioners at institutions in Göttingen and Lipjan. 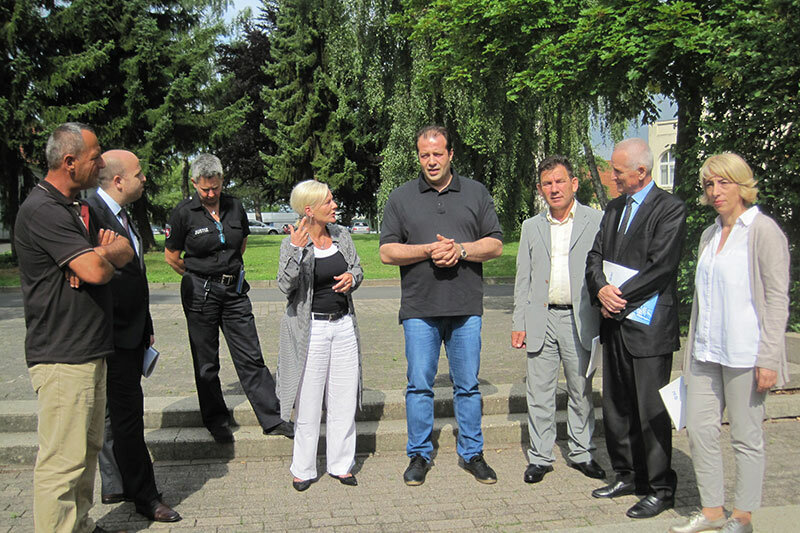 The short but very work-intensive programme began with a visit to the open prison for young offenders and to the juvenile detention facility in Göttingen. 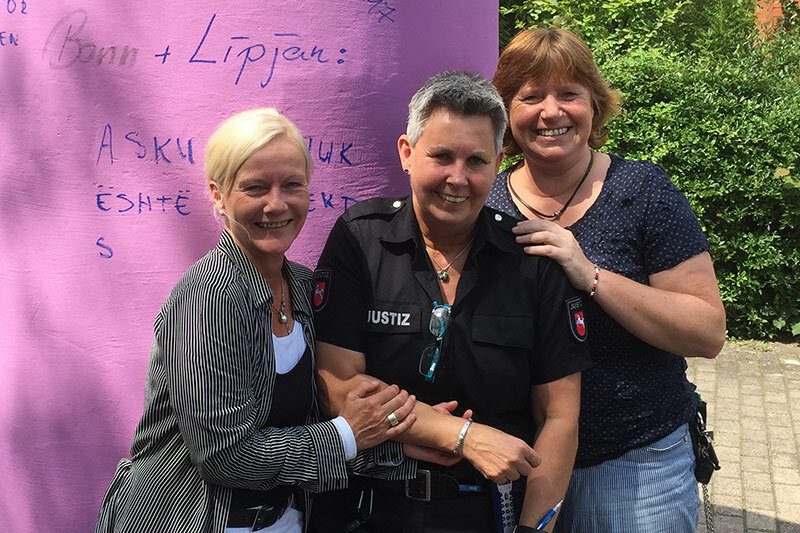 The guests were not only taken on informative guided tours of both establishments by prison directors Melanie Hacker and Christel Waßmann and prison officer Gabi Förstling, they were also provided with detailed explanations of the concept behind each establishment. A young person from the open prison spontaneously offered to accompany visitors on their guided tour. This meant that the foreign guests were given a unique opportunity to find out about everyday life in an open prison from the point of view of a young offender. 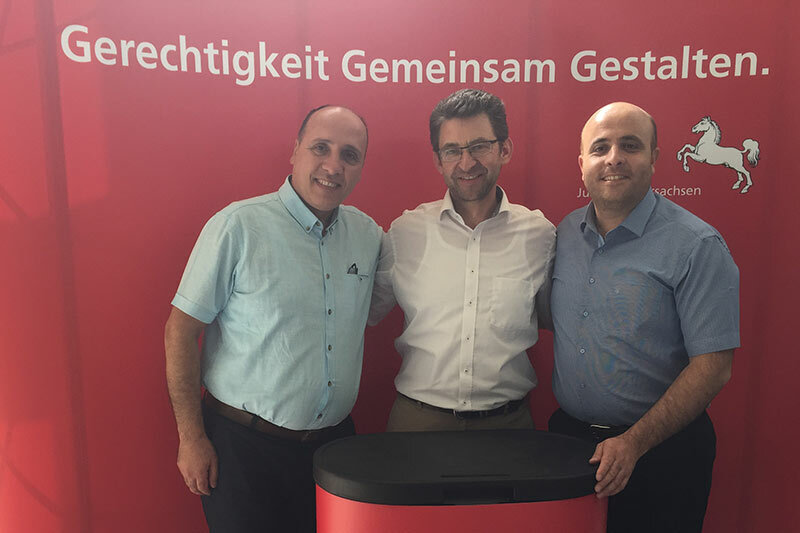 Siegfried Löprick, Chairman of “Jugendhilfe Göttingen e.V.” (a youth welfare association) and a former member of staff at the open prison for young offenders in Göttingen, accompanied the visitors and was available to answer their questions as an expert adviser. 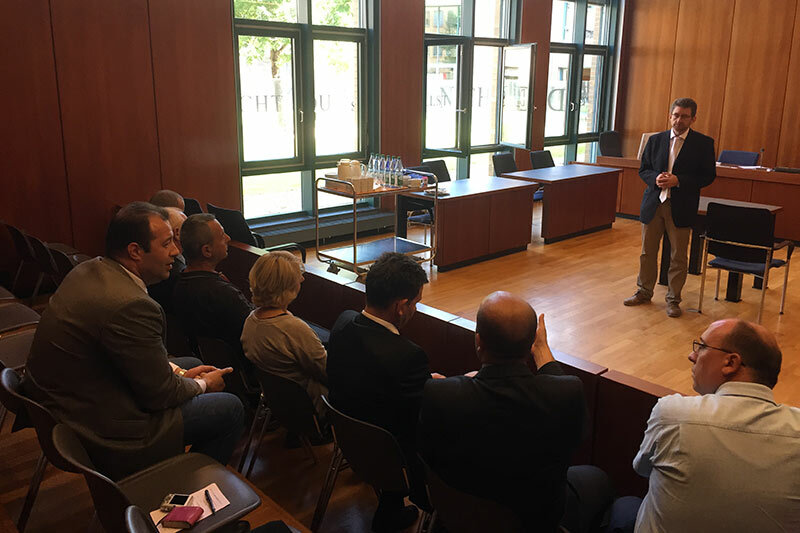 On the second day, the visitors attended a young offender's trial by a local court judge, Stefan Scherrer, who, following the sentencing, talked in detail about the session and further proceedings. He had sentenced a young person to immediate detention for four weeks. Kai Jans, a youth probation officer in Göttingen, outlined the fundamental duties of probation officers in juvenile criminal proceedings and Peter Kleinadel from the Verein Jugendhilfe Süd-Niedersachsen e.V., an association providing support for young people in the southern part of the Lower Saxony region, provided an interesting overview of social and educational services for young offenders outside the prison system. The professional visit was funded by the German Foreign Office. 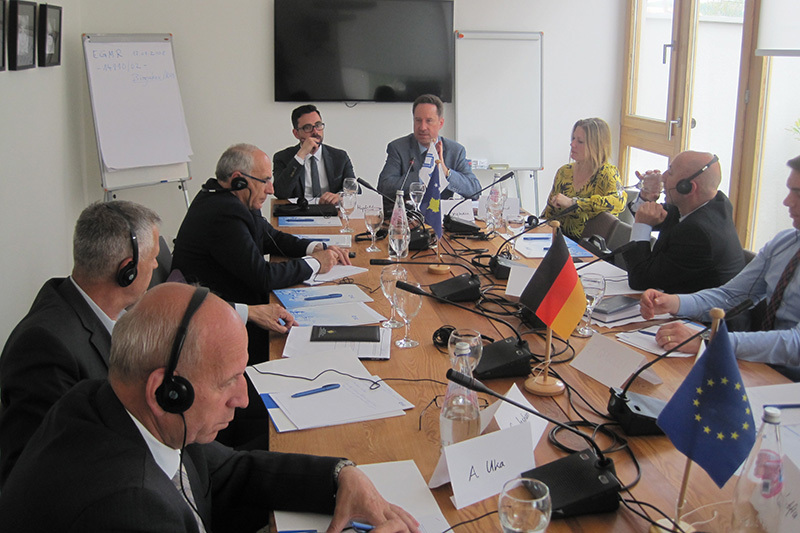 The organisation of the visit and choice of topics for the programme took place in close coordination with UNICEF Kosovo and the Deputy Director of the local court of Göttingen, judge Stefan Scherrer. 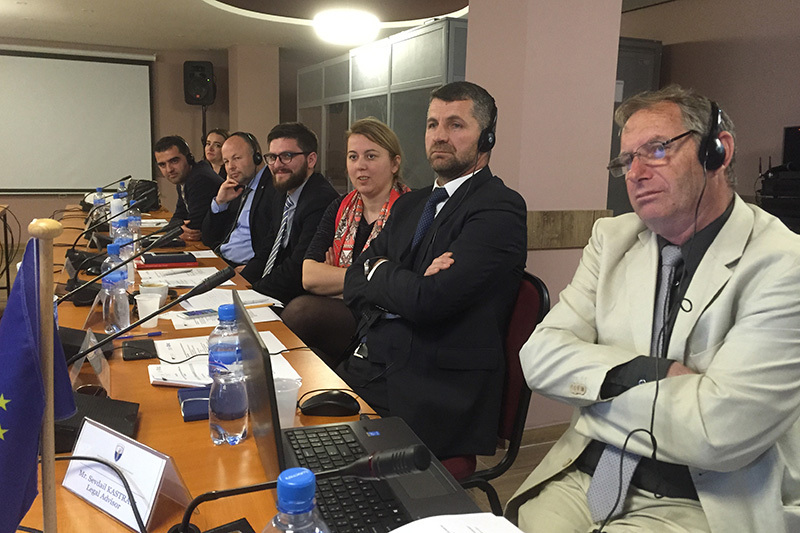 UNICEF Kosovo supports the Kosovan Ministry of Justice with advice on the reform of young offenders’ institutions. 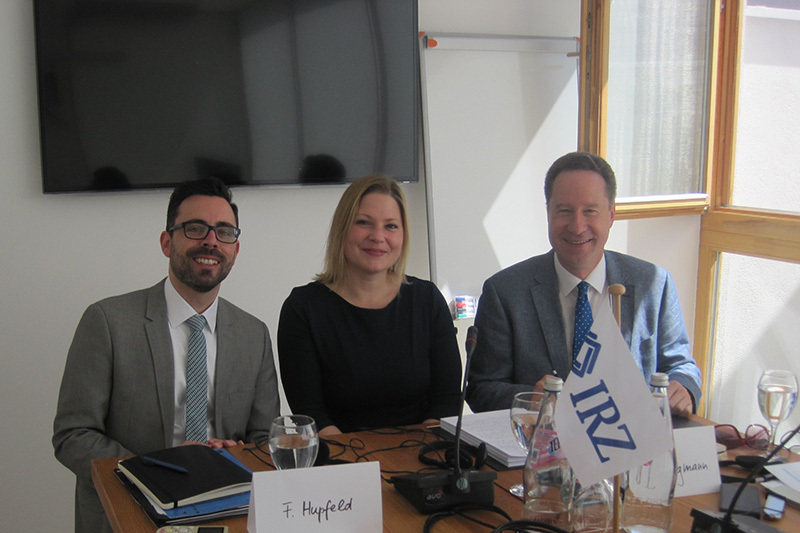 As a youth criminal judge, Stefan Scherrer provided the IRZ with a great deal of expert and practical support with the organisation of this visit. 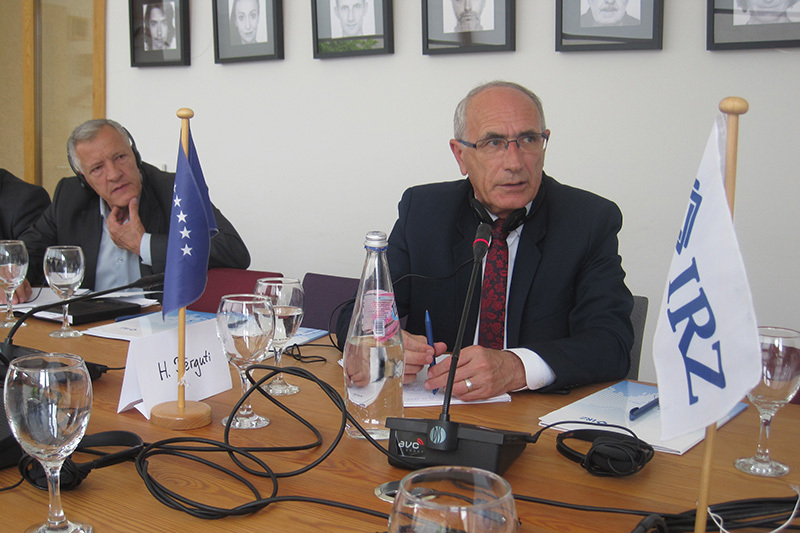 A return visit by the experts in Göttingen to their Kosovan counterparts in Lipjan is planned for the autumn. 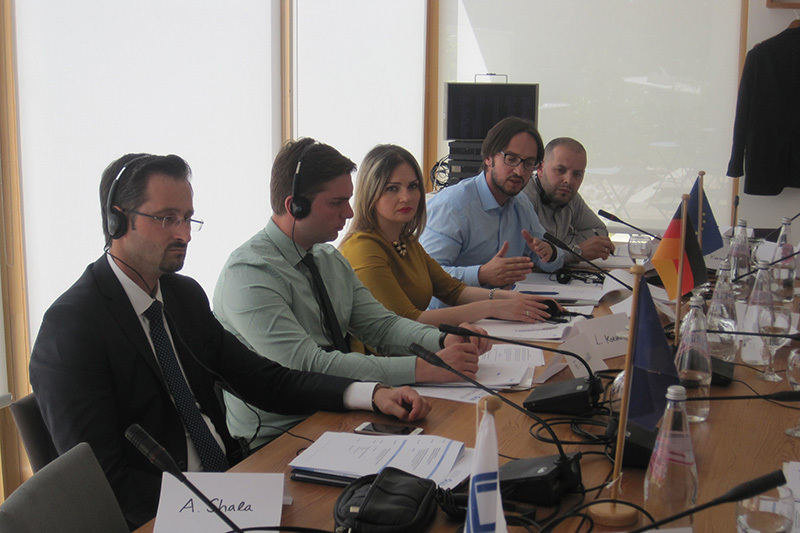 A seminar on “Press work / dealing with the media” was held in Graçanica on 17 and 18 May 2017 for members of the Kosovo Prosecutorial Council (KPC), the council of public prosecutors for the Republic of Kosovo. 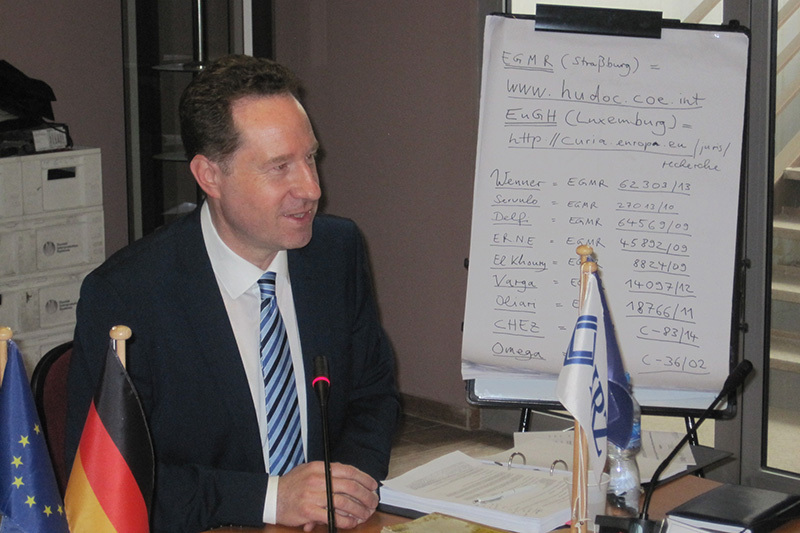 Founded in 2011, the KPC is a stand-alone, independent council charged with managing and supervising public prosecutors. Amongst other things, the KPC is responsible for recruiting and appointing public prosecutors. 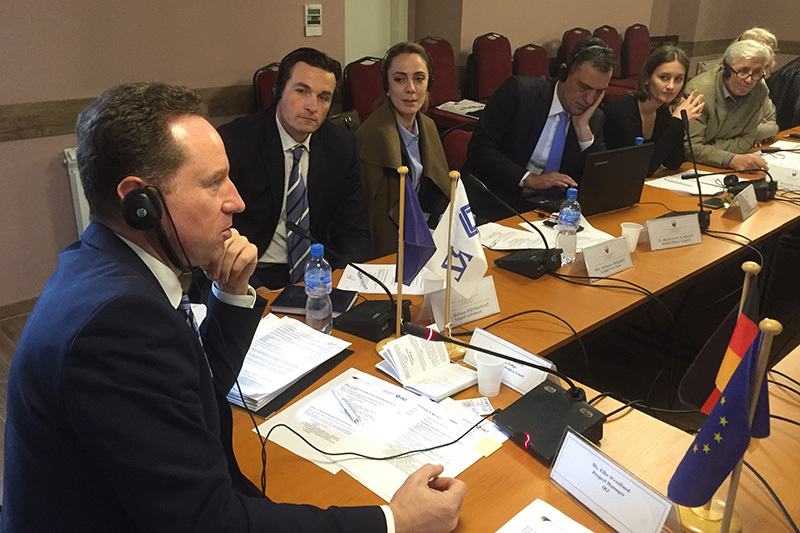 An analysis of requirements carried out by the IRZ last year revealed that, throughout the entire prosecutorial system in Kosovo, only a few public prosecutors are involved with press and media work. There is also a lack of skilled and experienced press officers. 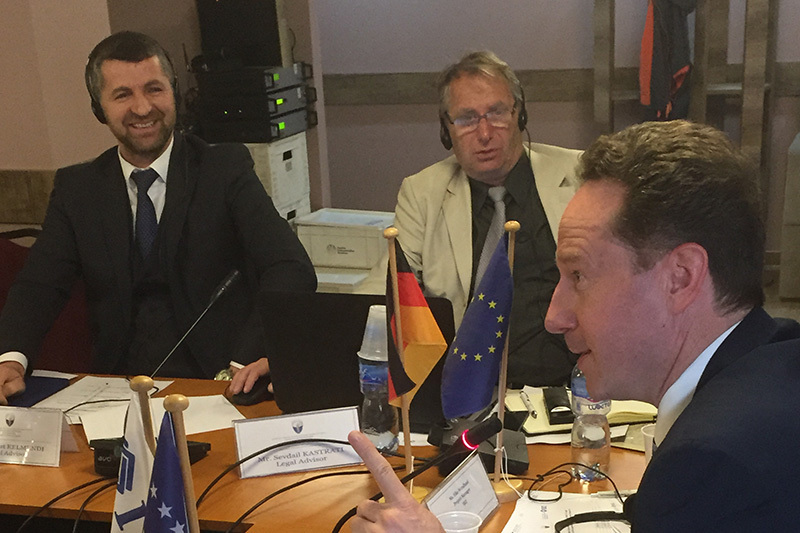 The objective of the two-day seminar, which was financed by funds from the German Federal Foreign Office, was to give participants a clearer insight into how public prosecutors should deal with the media and to focus specifically on the role of press officers. 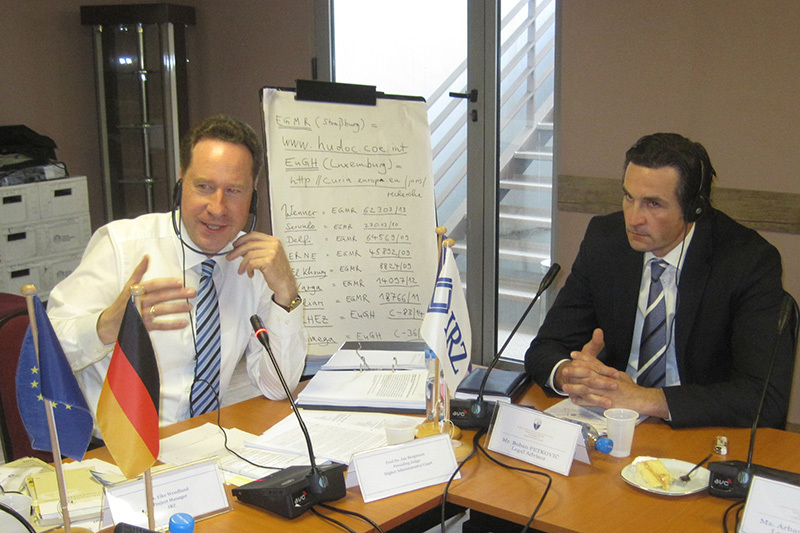 The IRZ expert, Professor Dr. Jan Bergmann, Presiding Judge at the Administrative Court of Mannheim, started his lecture with a descriptive presentation of the reasons behind and practical advantages of active, professional press work and went on to explain the fundamental structures of this work, using the German Federal Constitutional Court in Karlsruhe as an example. Afterwards, the requirements of media representatives at court were outlined and discussed. 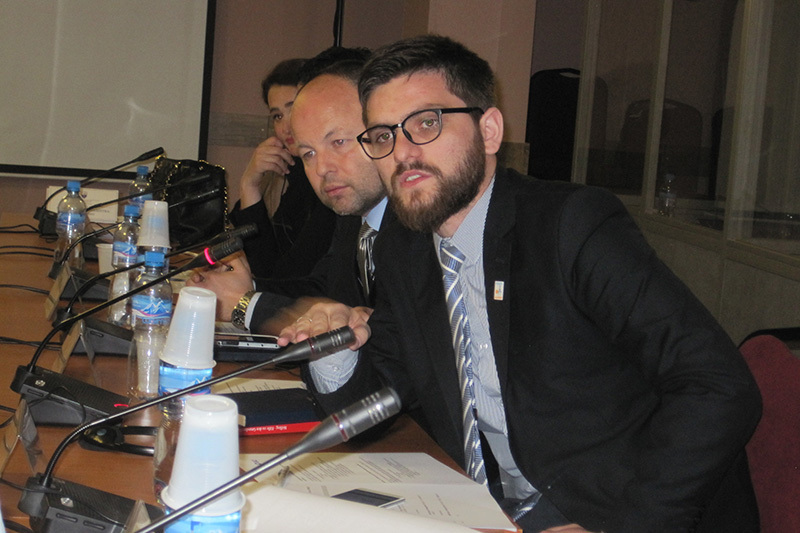 Topics such as “Interpreting case law in the press” and “Litigation-PR” were also the subjects of lively discussions.